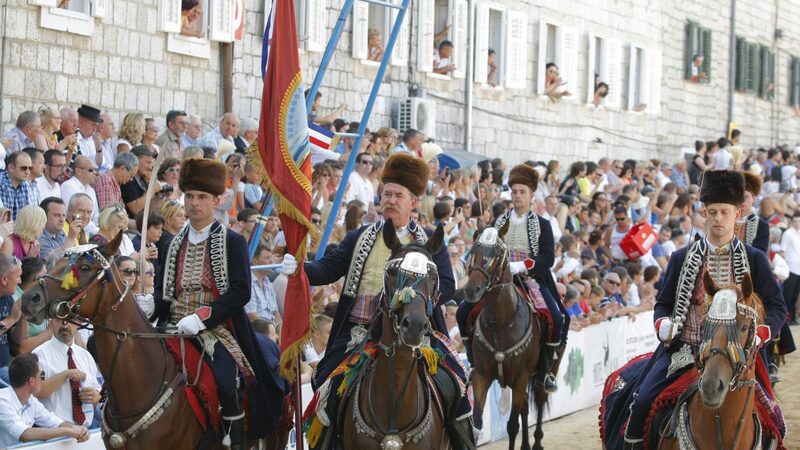 Although the area of Sinj was settled in earliest days of mankind, the town’s best hour occurred in 1715, when only 700 Croatian warriors managed to defend the settlement’s perimeter from thousands of Turkish invaders. 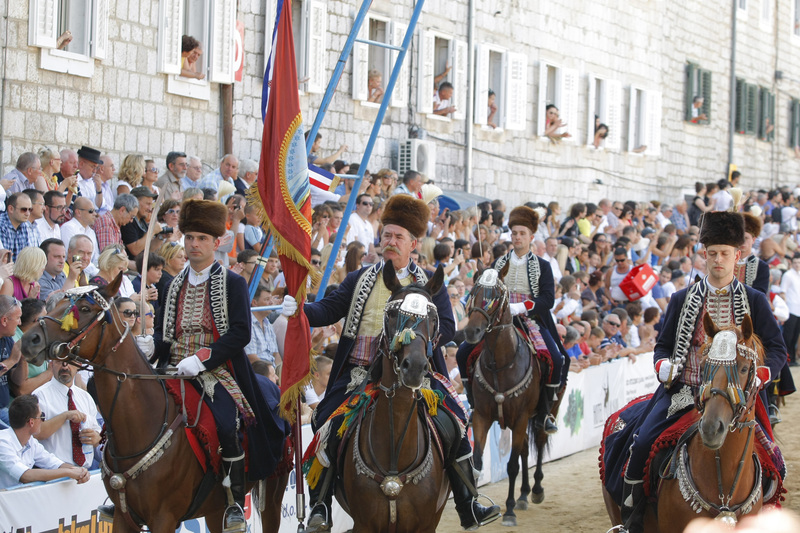 To commemorate this huge victory, a traditional game of Alka is organized every year in Sinj. It consists of mounted horsemen who try to hit a small iron circle, called alka, while their decorated horses are running at full speed. In addition to this unique feature, Sinj is also known for a tombstone of a young Roman boy carrying a ball, suggesting that town actively participated in forming soccer as we know it today. Lovely palaces, villas and promenades are also available, and if you walk to a small Church of Grad, you can witness sculptured Stations of the Cross, made by prime Croatian artists. 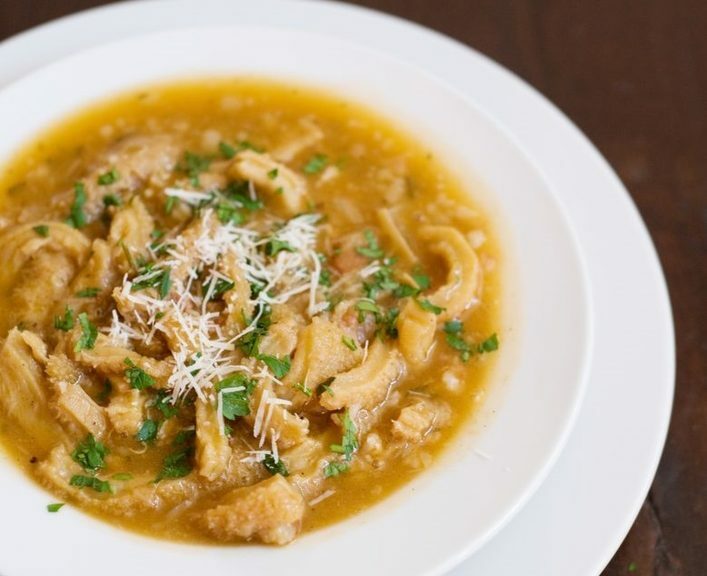 Sinj is also abundant in archeological collections, beautiful natural sites, cultural events and places where you can try domestic cuisine.